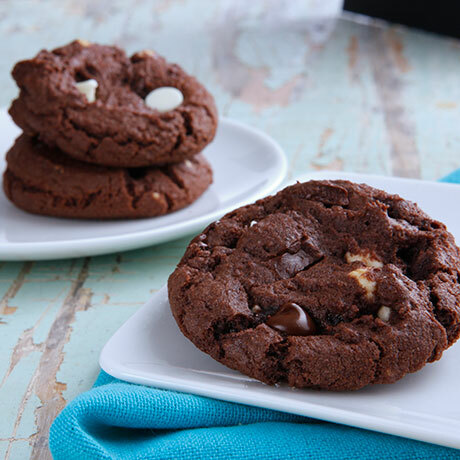 White chocolate chips and chocolate chunks are enveloped by a rich chocolate cookie. It is enough chocolate to satisfy any chocolate lover! 1.25 pound box yields approximately 32 1-ounce cookies.